Cassette Samples Vol. 2 is fresh out of Souljah’s Lab and gives you that essential pro producer sound you need to make quality hip-hop anthems. 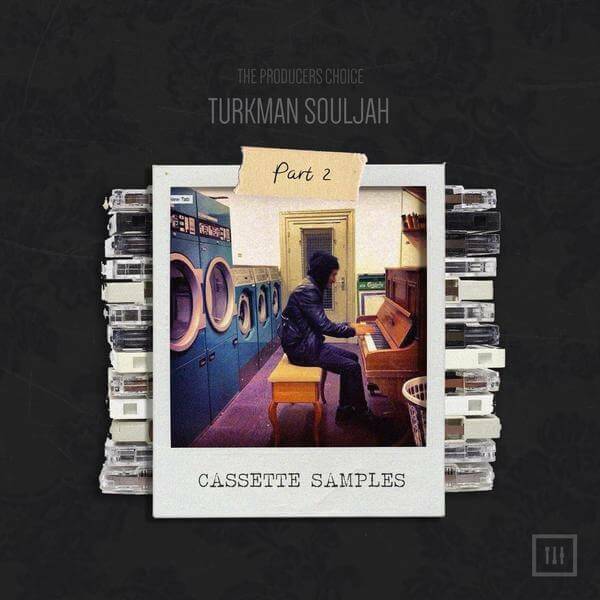 This sample pack is 100% all new material and handmade from scratch by Turkman Souljah using his vast collection of analog synths, tape machines, vintage mixers, outboard compressors and more. Giving you classic usable sounds – your new beats will blast until the neighbors call the cops. Drum Loops / Vintage Keys / Synth Loops and much much more. INSTANT DOWNLOAD – Make Music Immediately! Also Part of The Everything Bundle. lol. Thanks for the comment. This is great, I love the video. His beats are hot. I noticed that you have advertisement for FL Studio fruity edition. That seems like it would be good for a beginner, and a good price. Have you ever used FL Studio? I love the beat and Turkman Souljah is so talented! I love the look and feel of your website and how easy it is to navigate. I also loved the video.